…a gripping spy and murder thriller with underlying sub-plots Involving the Vatican Secret Service, British and international Intelligence agencies and some G8 governments – the search for a document believed to be Jesus’ last testament (purporting to reveal sacred lies dating back to the early days of Christianity), and directly incited sabotage amongst the intelligence agencies. He stood on the fourth step at a side door of the Federal Supreme Administrative Court at Simonsplatz. Henri Walker’s viewpoint covered the stream of demonstrators arriving from the Nicholas Church. He was waiting for his target to appear. Jacob Weizmann was sitting at his computer as usual in the Mossad specialist analyst department referred to as PAHA. Above his thick blond eyebrows was a broad forehead – well creased by the continuous information overload his brain was confronted with daily. If Achmed’s information is authentic he thought, he’d better keep it to himself for the moment. It would otherwise jeopardize his stay here. He just hopes Syrian Intelligence never grill Achmed or his relatives. But there again, what’s Syrian Intelligence compared to the Mossad? Where could he be safe from them? 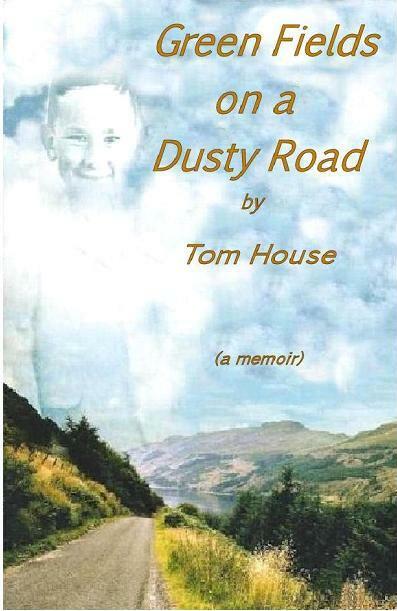 The story is about a Scottish lad, born in Western Scotland during World War II, called Jimmy McCall, who grows up on the East coast of Scotland under adverse post war conditions. His father is a well-bred Englishman with a strict Victorian upbringing, highly educated and psychologically traumatised from WWII (post traumatic stress disorder – PTSD). The mother is a simple working class Scottish woman. She has problems dealing with her husband and children, her financial support often below that of the average poor. Jimmy McCall is of a fighting nature, a resilient character who finds ways to shrug off the adversities of life. Separated from his parents as an infant for nearly two years, he is struck with infantile paralysis at the age of six to encounter life’s reality and the difficulties thereafter; spastic paralysis, continuous teasing from his resentful brother and a devious skinflint of a father who rejects him as a useless cripple, not worth the food to be fed. The central quest of his life is to recover and be like all the other lads of his age. Separation and severe physical pain accompany him in his battle for justness and acceptance as a normal human being – a Scottish lad that won’t and can’t be broken. 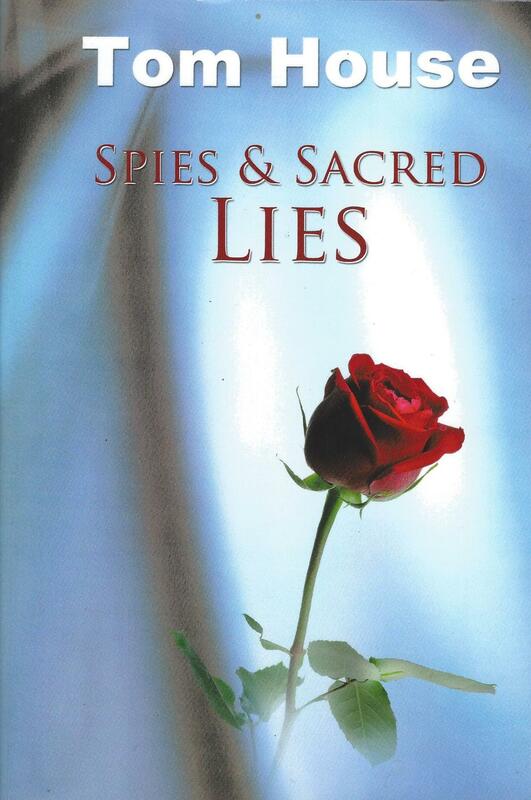 …This is indeed a very remarkable autobiographical novel with an extremely subtle and delicate description of the thought processes and moods of the subject when confronted with continuous malice and despicableness. The reader becomes extremely gripped and devours the handling in the book with a great deal of sensitivity, to the extent of re-living the subject’s experiences and suffering. The many small and large victories over his own shortcomings are described with great dignity and are extremely convincing. The story is written, as only good writers with humility and simplicity can do, in a simple, unadorned manner, serious, but also humorous at times. It is hardly possible to put the book down until the reader has digested the last sentence of the last page. I recommend it not only for polio survivors, but especially for their relatives and friends, not forgetting all those who are looking for good ideas for fulfilling their own life plan or of conveying it to others. She was frightened, knowing the excruciating pains coming from her womb were not normal. Two boys she’d brought into this unfriendly world and never before had she experienced such pain five months into pregnancy. Lying on the well-worn brown leather sofa in the front room of the semi-detached, pre-fabricated council house in Blantyre Place, she took in the situation whilst the doctor examined her, watching the nurse as she closed the curtains over the wide triple windows – cutting off the gapes of the inquisitive gathered around the ambulance outside who were waiting for a sensation. Jack must have had a rotten time. Jimmy heard he’d been just one of a number of other foster children at the foster home where he’d been sent. Jimmy was fortunate despite the circumstances and perhaps fared better because he was still an infant. He had a slight imaged memory of two lovely smiling, slightly tubby but adorable foster parents who were childless. Jack and Jimmy were separated from their parents for just under two years. 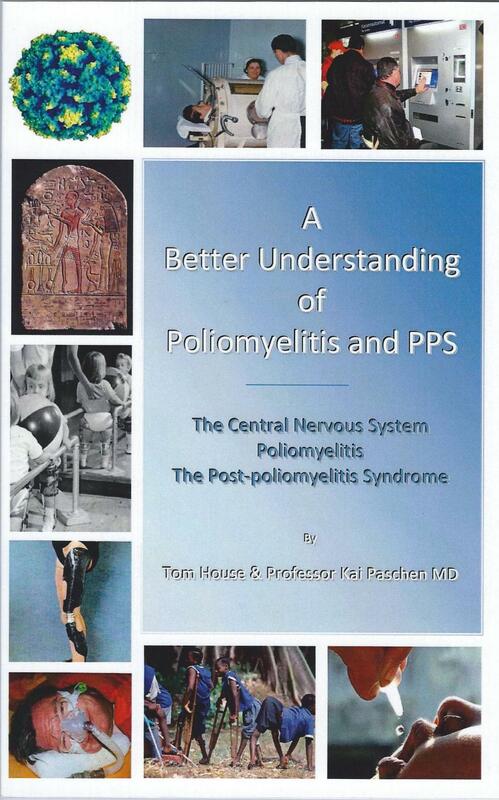 The majority of information regarding poliomyelitis and the Post-polio-myelitis Syndrome available on the world market is quite often expensive and sometimes difficult for the uninitiated to fully understand. The main reason for this is that it is mostly initiated and written by members of the medical profession and their usage of general professional medical scientific terminology in their explanations. 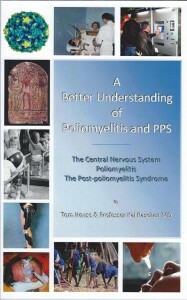 The main goal of the authors was to present this documentation using plain common language where possible, especially with the aim of making it understandable for an uninitiated poliomyelitis clientele within the wide range of existing information deficits, and further, to make this booklet obtainable at a reasonable price, therefore making it available for a wider public. This booklet relays information about general medical basics in the relationship between a healthy human body, a human body affected by a poliomyelitis infection and its late effects. Additional graphics and illustrations underline the effort made to pursue an easier under- standing of the complexity involved. It is especially helpful for poliomyelitis survivors, as well as for those who are directly involved with them such as relatives and friends, but also for nursing staff, students and physicians. If you are a poliomyelitis survivor, it should be of help for a better understanding and may be able to slow down a possible degeneration and counteract many of your problems. Much of the information will be new for some to start with; in particular information regarding the central nervous system related to our nerve cells. You will experience some repetitions of matter that will be of great benefit to you later on in the booklet, making it easier to understand the correlations involved when the impact of the poliomyelitis virus on our human system and the late effects, the Post- poliomyelitis Syndrome, are explained. Without the global work of self-help organizations, many poliomyelitis survivors will continue to go from one doctor to another and may never really get to know that the cause of their symptoms is related to the original poliomyelitis infection. They may be falsely or not properly diagnosed and perhaps advised for wrong treatment. In many cases, some uninformed doctors may even refer to them as being malingerers. [important]Buy the book – UK [/important] [important]Buy the book – USA [/important][important]Buy the book – DE [/important] [important]Buy the book – FR [/important][important]Buy the book – IT [/important][important]Buy the book – ES [/important] etc. As President of the EPU, I and the organisation that I represent are proud to be associated with the publication of this important document. It represents all that is best in the manner in which poliomyelitis survivors come together to form self-help groups that not only look to those closest to themselves but also in the wider polio-myelitis family across the world. Poliomyelitis as a disease in the Western world is virtually unknown for the past 20 years but is still very much a reality in sub-Saharan Africa and in many parts of the Indian subcontinent. Whilst the eradication programme that has been ongoing for many years is an undoubted success there are still over 15 million poliomyelitis survivors around the world who will need some form of assistance and help for the rest of their lives and this will be for decades to come. Poliomyelitis survivors are an ageing population in Europe and in North America as well as countries such as Australia. It is in these countries where the greatest knowledge regarding the management and treatment in primary care of those experiencing the Post-poliomyelitis Syndrome and Post-poliomyelitis sequelae exists. There is a very great danger that without publications such as this that knowledge will be lost to those in the greatest need in Africa and Asia. At the second Post-poliomyelitis Syndrome Conference held in Amsterdam in June 2014 the delegates were of one mind that the transference of knowledge and retention of knowledge built-up over the years in Europe is paramount. It is interesting to note, and a significant factor that the conference like its predecessor in 2011 saw a coming together of both poliomyelitis survivors and medical professionals; all dedicated to the well-being of poliomyelitis survivors wherever and whoever they are. This publication demonstrates and illustrates best practice that allows poliomyelitis survivors to live with dignity and independence. I, and the EPU, congratulate the authors and their organisation on their hard work in adding to the body of knowledge in this field. Poliomyelitis, also known as infantile paralysis, is caused by a highly infectious virus. Poliomyelitis can be potentially fatal. On infection, the poliomyelitis virus generally attacks the motor nerve cells (alpha motor neurons), particularly those in the spinal cord that carry messages (electrical impulses) between the spinal cord and the muscles in order for them to function and can cause severe muscle paralysis (paralytic poliomyelitis), including severe damage to nerve cells in several control centres of the brain. Poliomyelitis is a viral infection of the intestinal virus family (Entero-virus) that spread quickly through the body, attacking muscles and tissue of the central nervous system. Initially, the poliomyelitis virus multiplies in lymphoid tissues (tonsils and intestinal lymph nodes) and then quickly spreads through the bloodstreams (hematogenously) throughout the body. PPS is a neuro-degenerative illness. Numerous theories have been proposed to explain PPS. The most widely accepted theory (based on medical studies) of the mechanism behind the disorder is neural fatigue, which seems to lay in the destruction of the remaining motor nerve cells due to overstressing (overload) over many years.